We are very proud of the vast array of religious displays we have both inside and outside of our school. 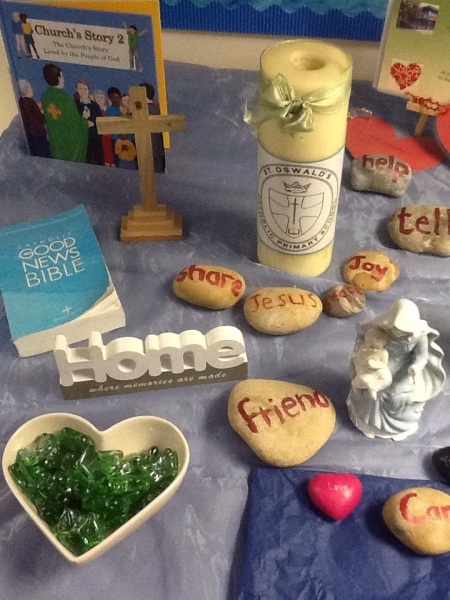 Religious Education displays and prayer tables are the focal point of each and every classroom and also adorn the school corridors to serve as a reminder to us of our love of God and our commitment to our faith. The Catholic ethos here at St Oswald’s, our compassion, dedication and commitment to our faith and each other is reflected in all that we do and is celebrated visually through our RE displays.